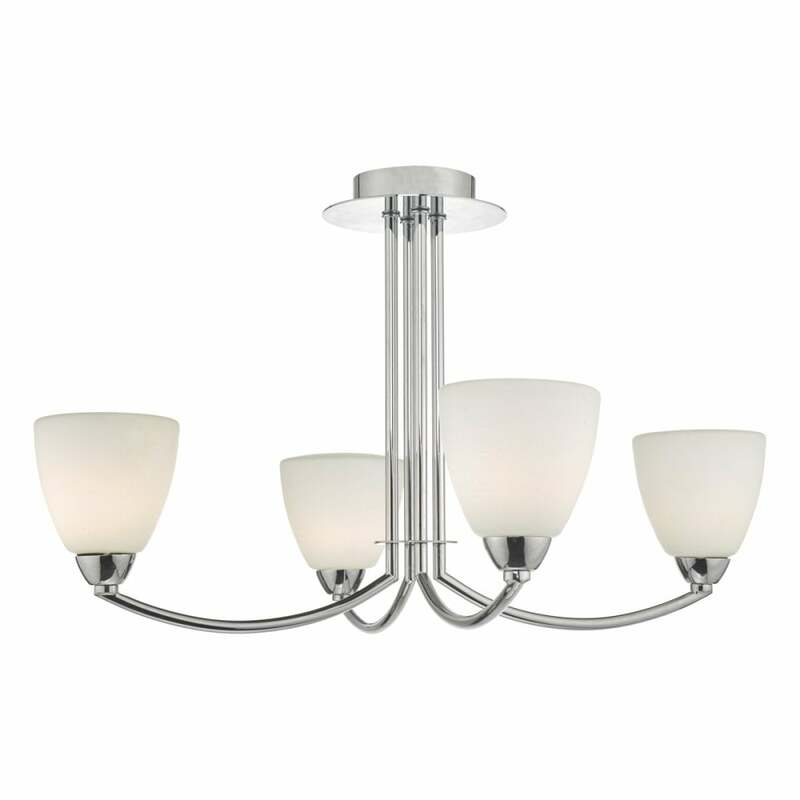 Dar Lighting Edanna semi flush 3 light ceiling fitting features a circular ceiling plate in a polished chrome mirror finish with 4 central rods and curved arms holding white opaque glass shades. The product code for this ceiling fitting is EDA0450. This elegant design is perfect for both modern or contemporary styled bathrooms. The combination of opaque glass and chrome adds a modern touch. Double insulated and IP44 rated makes this suitable for use in bathrooms. A matching wall fitting is available and a range of bathroom fitting can found on our website.